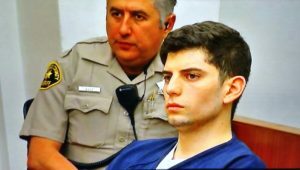 Sepolio, 25 and a former Navy aviation technician stationed at North Island Coronado, is charged with having a blood alcohol level of .08 or more, and of gross vehicular manslaughter while intoxicated for the death of Cruz Contreras and his wife, Annamarie Contreras of Arizona, and Andre Banks and his wife Francine Jimenez of Hacienda Heights. He is also charged with causing great bodily injury to four other individuals, and bodily injury to three others. After three days of testimony, on July 10, 2017, Judge Lewis ruled sufficient evidence had been presented for Richard Sepolio to stand trial on all charges. According to the prosecutor Cally Bright, if convicted of all counts, Sepolio could face a prison sentence of 23 years, 8 months. Witnesses testified that on October 15, 2016, at 3:30 p.m. they were enjoying festivities in Chicano Park when they suddenly heard a loud bang or explosion type noise, screeching tires and metal crunching, then watched in disbelief and horror as a truck flew off the Coronado bridge, nosediving into a vendor booth. One witness described the truck twisting in the air “like a transformer,” and another witness testified she at first thought a movie was being filmed. California Highway Patrol Sergeant Nicole Pasheco said she had never seen anything like it in her 17-year career. She can still hear the sirens, see the scene, and the looks on people’s faces. “It looked like something out of a Michael Bay movie. It was surreal,” she said. Michael Bay is the filmmaker known for his blockbuster action films with out-of-this-world special effects. Annette Trujillo ended up with glass all over her body. Lora Gonzalez heard a lot of screeching and saw the truck fall on people. She was in a wind tunnel, with no control over her body, and wound up underneath a bench. Julie Salatore was under a canopy taking pictures when she was sucked backwards by what felt like a big vacuum. She was thinking she was dying and felt paralyzed. She told herself to hold on. To this day, she still has pain all over her body. Witness Carlos Ulloa heard tires and metal screeching, then a big boom, and saw the truck airborne, twist in the air, and then nosedive into a vendor’s booth. He ran towards the truck and found people underneath it. He said a few dozen men lifted the truck to get it off the dead and injured. He looked in the driver’s window, and the driver was leaning to the right, but suddenly sat up. He met eyes with Sepolio, who he said was disoriented, dazed and confused. He also noticed Sepolio had bloodshot eyes. Witness Steffi Ruiz, a Navy aviation electrician, testified she had been friends with Sepolio for approximately two years, since the time he came onto the squadron. On October 15, 2016, she took Sepolio to brunch as a thank you for a favor he had done for her. They initially met at her house, and then took an Uber to a South Park restaurant. Ruiz said Sepolio had an alcoholic cider, and she had a lavender lemon cocktail. She then ordered a bottle of wine. How much of the wine Sepolio actually drank is unknown. Deputy District Attorney Cally Bright brought out Ruiz originally told an officer Sepolio drank two glasses of wine. During the courtroom testimony, Ruiz explained the waitress poured about half a glass of wine for Sepolio, and later he had a refill that may have been another half a glass or more, but that she consumed most of the wine herself. The restaurant receipt was presented showing the dining tab was opened at 12:23 p.m. and closed at 2:16 p.m. Following the brunch, Ruiz and Sepolio again used Uber to return to her home and spent 30-40 minutes in the yard playing with her dogs. Sepolio text-messaged his girlfriend and also said he wanted to talk with his mother. When Sepolio decided to leave, she asked him if he was ok, and he said he was fine. On cross-examination she said Sepolio did not appear intoxicated when he left. California Highway Patrol Officer Juan Jimenez testified he interviewed Sepolio and conducted a DUI investigation of him at U.C.San Diego Medical Center. During the interview Office Jimenez smelled alcohol and noted Sepolio’s eyes were red. Sepolio told Office Jimenez he had two alcoholic ciders at lunch, finished drinking at noon, and felt the effects of alcohol. Sepolio said he was going approximately 60 miles per hour on the bridge and was in the right-hand lane when he attempted to move into the left-hand lane to pass a blue vehicle, and lost control of his truck. He veered across the left lanes into the left barrier and then back to the right barrier, before going over the edge. Sepolio also told Office Jimenez he was on the phone with his girlfriend having an argument. Sepolio’s attorney Paul Pfingst kept objecting to Officer Jimenez giving any testimony about his observations of Sepolio at the hospital to conclude Sepolio was under the influence as Sepolio’s condition could have been a result of the accident. Attorney Pfingst said Sepolio was receiving medical care for serious injuries sustained in the crash, including a fractured neck, broken ribs and hand, and other injuries. Office Jimenez conducted two breath tests on Sepolio. The first test was done at 4:58 p.m. and showed a blood alcohol content of .059. A second test was done at 5:08 and showed a .060. On cross-examination, attorney Pfingst asked Officer Jimenez whether he had gotten into an argument with a nurse in the CT room when Sepolio was lying on a tray waiting to be put into the CT machine, and told the nurse he had to get the statement before Sepolio could go into the machine. Officer Jimenez answered “No.” He said he was advised by the nurse Sepolio needed to be transferred to the CT room and he asked if it would be possible to finish questioning. Officer Jimenez did acknowledge he conducted one DUI test in the elevator while Sepolio was lying on a gurney being transferred from the trauma center to the CT exam room. He further acknowledged Sepolio was wincing in pain and was having difficulty blowing into the machine for the breath test, so he did a manual capture. Another DUI test was conducted minutes before Sepolio was put into the CT machine. California Highway Patrol Officer Justin Snider is an accident reconstruction investigator. He testified the speed limit for the transition from northbound Interstate 5 to the Coronado bridge had a maximum speed of 65 mph. He said there were speed warning signs along the route, one indicating a 50-mile zone ahead. Office Snider conducted a critical speed analysis and testified that the point where Sepolio’s truck began to deposit physical evidence, the truck was going 87 mph and hit the barrier at 63 mph. He testified tire markings did not indicate braking, but the black box of the vehicle did. California Highway Patrol Officer Matthew Hartley talked with Sepolio when Sepolio was lying on the ground after the crash. Sepolio said he had been driving and Officer Hartley could smell alcohol. Michael Edwards, a San Diego District Attorney investigator, testified he obtained Sepolio’s cell phone and that on the morning of the crash, Sepolio sent Steffi Ruiz a text about getting together, saying “I want to get white girl wasted.” When asked to explain what that meant, Edwards said the expression meant to get so drunk, one would do things a college girl would do. Edwards further testified Sepolio called his girlfriend at 3:22 p.m. and the call lasted 10 minutes and 58 seconds. The call was disconnected 45 seconds before the crash. The first call to CHP came in at 3:34 p.m., but Edwards did not know when the first public 911 call was made. Edwards said when Sepolio was on the ground at the crash site, Sepolio had his cell phone in his hand. On cross examination, Attorney Pfingst said Sepolio was seriously injured in the crash and asked to call his command. Attorney Pfingst asked Edwards if he knew whether someone had handed Sepolio the phone in response to his request, and Edwards said he did not know. 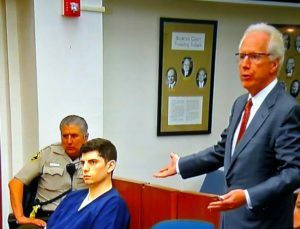 Attorney Pfingst brought out the usage of “white girl wasted” was meant to be a humorous and tongue-in-check sort of talk. He said a Google searched revealed a universe of humorous things attached to the phrase, including t-shirts, merchandise, and jokes. California Highway Patrol Officer James McBreaty interviewed Sepolio in the trauma center at U.C. San Diego Medical Center. Sepolio told him he was driving on the transition ramp, was in the right-hand lane, had his turn signal on and tried to move over to the left-hand lane, but there was a car in the left-hand lane which also started to speed up. Sepolio lost control of his truck and went over the edge. Sepolio told Office McBreaty there was an issue with loose steering on his truck. Sepolio further told Office McBreaty he hung up the phone with his girlfriend right before the transition ramp onto the bridge. On cross-examination, Officer McBreaty said he did not ask whether Sepolio was on a speaker phone and not actually holding his phone in his hand. During the interview, Office McBreaty did not see any signs of intoxication. Sepolio said he had two ciders at lunch. Officer McBreaty went to the restaurant where Sepolio had brunch and obtained the dining receipt. The receipt showed only one cider, a lavender cocktail, and a bottle of wine. Officers McBreaty interviewed the waitress who had waited on Sepolio and Ruiz and she said she did not see any signs of intoxication. Officer McBreaty obtained Sepolio’s hospital records and they revealed a blood draw at 4:32 p.m., showing a blood alcohol content of .081. He did not know if the hospital only used plasma blood rather than whole blood, which would have different results. Forensic mechanic Thomas Carlson said there was no way to test after the crash whether there was loose steering on Sepolio’s truck. Criminalist Chelsea Carter of the San Diego Crime Lab testified that at 6:04 p.m. Sepolio’s blood test showed .04. 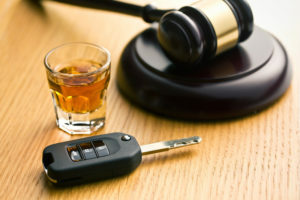 While on the stand, she did a retrograde analysis of what the blood alcohol level would have been at the time of the crash at 3:30 p.m., and came up with .08-.09. Attorney Pfingst asked her to use a different elimination rate which was in the range of accepted literature, and she came up with .07, meaning Sepolio was not legally intoxicated. Judge Lewis ruled the probable cause standard had been met, and Sepolio must stand trial on all charges. Arraignment is set for September 21, 2017.